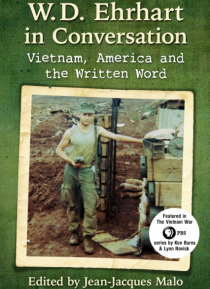 i W. D. Ehrhart, named by Studs Terkel as "e;the poet of the Vietnam War,"e; has written and lectured on a wide variety of topics and has been a preeminent voice on the Vietnam War for decades. Revered in academia, he has been the subject of many master's theses, doctoral dissertations, journals and books for which he was interviewed. Yet only two major interviews have been published t… o date. This complete collection of unpublished interviews from 1991 through 2016 presents Ehrhart's developing views on a range of subjects over three decades.